Suitable for single doors or the first opening leaf of double doors with rebated meeting stiles. Suitable for single doors up to 1220mm wide. “Push Bar To Open” Green background signage supplied; Self adhesive. Suitable for use on FD30 - 30 minute Fire Doors - BS EN 1634 Part 1: 2000. 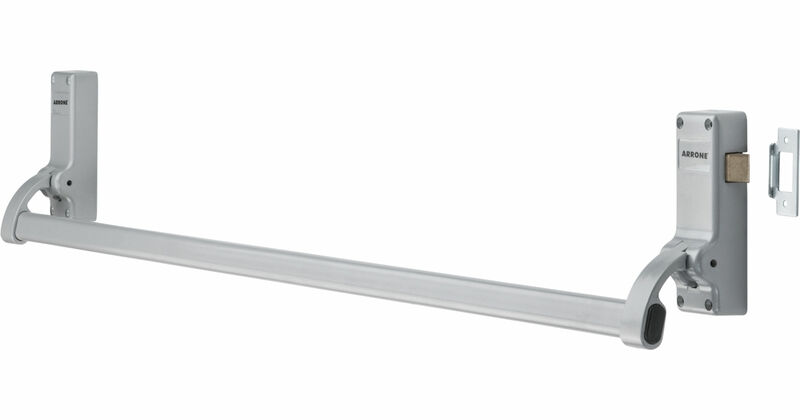 Payment - We can take Debit Card, BACS, Cash, Cheque or Credit Card payment online for Arrone Silver Panic Push Bars. E. & O.E. see T&C - We do try to keep prices and specifi­cations of Arrone Panic PushBars correct, but mistakes can be made!